Brian tells about how he started out with computer music the path that led to Absynth. He also talks his days in Paris, working with some of the leading composers of the time, and the roots of his musical thinking. I suggest reading the interview with the Absynth 1 patch “Cooling the Plasma” playing and a glass of wine at your side. Enjoy! Brian Smith: What is your musical background? Brian Clevinger: I have a Bachelor’s degree in composition and I specialized in electronic music — that was what I was most interested in. At the time it was just before MIDI; it was large analog modular systems, and I especially worked on an Arp 2500 and also an Arp 2600 — those were the analog synths I spent the most time on. Then, when MIDI came out, I worked a lot with the Yamaha synths, earlier MIDI sequencers on a Mac Plus (laughs). Then I guess it was 1989 when Ircam came out with Max, the MIDI-only version of Max/MSP, came out. I started playing around with that. And I guess that was my first programming experience, too, since you can see it as a high-level programming language. I made a lot of fun Max patches on my Mac Plus for a little Yamaha synth. I’m also a bass player. That’s the only instrument I feel comfortable with saying that I know how to play it. BS: What synthesizers did you have? BC: The very first synth I ever owned was this Yamaha CX5 computer. I had a lot of fun with that thing! I got it to do some kind of strange things that you wouldn’t quite expect (laughs). Along with the Yamaha CX5, I had a tone generator, the TX81-Z. Then later I got an SY-77 — I still have the keyboard sitting next to my desk for when I need a MIDI keyboard. BS: Do you ever use it for sounds? BS: What kind of things did you do with the MAX patches? BC: I made some weird patches to transform sequences; you could morph between two sequences — do an interpolation between two sequences. I had a patch that would do a rhythmic inversion; it would find the center rhythmic value and then it would invert the rhythms, but it would have the same duration. And you could control how far it would go into the inversion, so I could make several inversions with different values and then play them all back at the same time and it would make this really strange canon. BS: It sounds almost like serial music! BC: Yes, it was “IRCAM-y” [Note: as in something having to do with the Paris music research center IRCAM] kind of stuff — I was hanging out with people like that. I made some patches that would generate notes with fractal algorithms that I had come up with and it was surprisingly musical, it actually sounded like somebody playing. It was kind of weird. You could here it was really structured, it was very atonal, it wasn’t quantized to any scale or anything like that, but you could tell there was some kind of real deep structure behind it. It didn’t sound random. I’ll have to dig out my Mac Plus some day to hear it again. BS: So, the the first programming you did was with MAX? BC: MAX and HyperCard. HyperCard was the first “typing” language I learned. BS: What did you do with HyperCard? BC: I made programs to do fractals. I did some other programs — I don’t remember what — but I do remember making these programs that would draw fractals. BC: Yes, it was a very different algorithm… In the book “Chaos” [Note: “Chaos: Making a New Science” by James Gleick], there is an algorithm described where there are two ways of deciding where the next dot is going to drawn in your picture and then you just randomly decide which method to use. It really doesn’t matter what the methods are. It will create some kind of structure, some kind of fractal structure. So I just started making up these rules and switching between them and it resulted in these really strange forms. BS: Did you apply these ideas to sound? BC: Yes, I did with Max. I made some Max patches, but I didn’t expect it do do anything. I mean; it’s too arbitrary. I just applied the outputs to notes and velocity and rhythm and duration. It sounded surprisingly good, but it is not something I pursued, I think partly because you couldn’t do anything with it, it was just sort of perfect in itself (laughs) and you just turn a knob and you get this result — it wasn’t very satisfying in the end. BC: It was, yes. But it isn’t something that interests me that much. BS: Was that before or after you moved to France? BC: That was after I moved to France, in the early nineties. At the time I was working with Ensemble L’Itineraire which was founded by Gérard Grisey, Tristan Murail and Michaël Lévinas. I worked with them for about ten years, doing live sound. They commissioned work from composers, so I worked with the composers to put together live electronic stuff, using MAX patches and whatever synthesizers and stuff we had. I met a lot of interesting people doing that. It was sort of a “mini-IRCAM”; I was able to work with many interesting composers, but without the bureaucracy! BS: Did you compose at the time? BC: I did some music for documentaries and TV programs, which I took seriously — that’s pretty much why I stopped… because then some producer would just cut some stuff out and bury it in dialog or whatever (laughs). I wasn’t detached enough from it, so I knew that I wasn’t meant to do that! BS: What led you from MIDI programming to audio? BC: [It happened] when computers got fast enough, when the first PowerPCs came out. But even then, it took a while before programs started coming out that could do sound. I remember when Studio Vision brought out an update that had a little delay and stuff like that… a super-simple plugin. And then, really I think SuperCollider was the first synthesis program that I knew about. I guess Reaktor, called Generator at the time, existed at the time on PC, but I didn’t know about that. I played with SuperCollider quite a bit. It was really good for processing audio files. I’d been using it for a while and then one day it went “ding!” and I thought: Wow, you can do sound with a computer now. I think I’d always fantasized about designing a synthesizer, even though I didn’t know anything about that, but I thought: “Well, I going to try doing this myself.” That’s when I started teaching myself programming. BS: How did you teach yourself? BC: Programming in C is pretty simple, really, and so I just got some little books and made up exercises for myself and eventually learned the Sound Manager and OMS on Mac. That was my first programming experience. Once I could get sound out of the machine, then I started developing oscillators and filters and stuff. My first idea for a project was a three-oscillator synth. What I wanted eventually was a total modular machine, but the three-oscillator synth kept growing and growing and I liked it, and that became Absynth — I guess that took about two years. BS: How long did it take you to go from starting to program sounds to the time Absynth was born? BC: About two and a half years. BS: Where did the idea of the unique GUI design of Absynth come from? BC: That was really the first thing I thought of! Something that always bothered me with synthesizers is that you didn’t see the patch; I mean I guess with most subtractive synths, the patch is always kind of the same, anyway. But I always found it a little confusing that you had these knobs and stuff, but you didn’t know where they were in the signal path, and so I wanted that to be real clear. Although breakpoint envelopes existed before Absynth, of course — the Yamaha synthesizers had that — but I wanted to develop it a lot. I had this idea of making the envelope editor sort of like a DAW, like Pro Tools, where you would see all the envelopes all lined up and so you could synchronize the breakpoints precisely and have a lot of control. BS: Did you work with Pro Tools back then? BC: Yeah, I worked with Pro Tools a fair amount. And my main sequencer at the time was Studio Vision, which we all miss (laughs). What about Absynth’s effects, where did the idea for them come from? BC: I always liked the Lexicon effects where you had a lot of parameters. I guess the first effect I ever worked with was a Lexicon delay — it was just a digital delay — I don’t remember the number or anything. What I liked about it is: if you wanted to do a flanger, you had to turn up the LFO, and you had to set the delay time in the right range… You know, it made it clear what was actually happening; it wasn’t just a black box that made some kind of sound when you turn the knob, which makes a lot of assumptions about what you do and it ends up limiting possibilities. I always liked to modulate the delay so it would be going from an echo down to a real short comb filter kind of delay, using extreme values. You wouldn’t do that if it were just set up to be a flanger or something, with a stompbox. So it was their approach to delays and stuff [that I liked]… so I thought: “It’s just digital delays, anyway, so I’m just going to arrange them in different configurations.” Modulation would come from the LFOs in Absynth and not from built-in LFOs so that it would be more integrated with the rest of the patch. For example, if you modulate the filter, you might be modulating the effects in parallel, which sort of ties the effects in with what’s happening in the rest of the patch. So it’s not just a thing you stick on at the end. And anyway, you can always stick a flanger plugin after Absynth in your host, if you want to work that way. So I was thinking about how to integrate the effects and make it part of the sound. I guess I still see things this way: you have the sound source — like the oscillator — then you’ve got resonance, like filters, then you’ve got space, you know, the room. I think most sounds fit into that sort of model. I wanted all three of these things to be related to each other, to be closely tied to eachother. A lot of patches reflect this idea, like the “Vulcan Berimbau”, an old Absynth patch, which uses the Multicomb effect tuned to different pitches and it’s being modulated by the LFO… it sounds like strings being struck. That comes from the LFO and a fractalized waveform, so it had all this noises and stuff in it. I think it’s modulating filters also. In general, I guess I didn’t want to make assumptions about what kind of music people want to do, what kind of sounds they want to make. I just want to provide all the parameters and tools you might need to do different kinds of things. BC: Yes, absolutely. It was conceived that way when I started. I don’t think VST’s existed when I started. When Absynth came out, that was a problem for a lot of software synths: they were standalone applications — Reaktor was, there were a few others — they were all standalone. When VST came out, it was a difficult transition to make. With Absynth 1 and 2, you actually had a standalone application for editing sounds, inside the plugin. So you’d have the plugin window where you’d select sounds sounds and set some basic parameters and then if you wanted to edit the sound, it would open up this standalone program… it worked surprisingly well! Some people complained about it, but after Absynth 3 came out — which was the first version with a plugin version without an external editor — it turned out that a lot of people actually liked Absynth 2. They actually liked this external editor. I think a lot of people didn’t even realize it was an external program. BC: Yes, the thing with Absynth 3 was to have everything in one window. BS: Did that transistion change your way of thinking about Absynth, how people make sounds? BC: No, not at all. It didn’t change the way I thought about sound, but it did have some inconveniences, which is why I brought back the ability to have multiple windows in the standalone version of Absynth 4. BS: Absynth is so different from other synths, how does this reflect your thinking? BC: Well, I’m not at all into making an emulation of anything, partly because I don’t think I’d do it very well — that’s a serious research project (laughs) — if you want to emulate a Moog filter or something. I’m not really competent to do that. It would be an interesting project, but also, everybody wants to do that… it’s kind of crowded. So, taking a different approach can set you off from the competition. Again, I’m not thinking about what music people want to make. I think that that is why some people don’t like Absynth: it’s not set up to do dance music or whatever kind of music someone might be into, but it can do stuff like that, you just have to set things up in your patch to make work like that. That opens up a lot of possibilities for different kinds of sounds. It’s always been important to me to not make assumptions about what kind of music people make, what kind of sounds they want to make. And also to have enough possibilities, and enough potential complexity that you can make really interesting sounds. You have to get a lot of stuff going for a sound to be really deep. But yeah, that’s what I see when I’m making sounds. BS: The envelopes seem to be the most striking characteristic of Absynth. I like to show “Cooling the Plasma” because it’s just the ultimate “envelope patch” where you have these different melodic lines at the same time, but they are intentionally not synchronized with eachother. And these envelopes can go on for so long with the whole sound really repeating itself, and then large number of breakpoints makes it possible to really “form” the envelopes… is that something that reflects your way of thinking of sound, because it’s not like a single “beep” or “boom” sound that you just play on a keyboard that has to die out quickly for the next note to be able to come in and have it’s place… Is there a philosophy behind that? BC: One of my ideas — you know, people use samples, complex samples, a beat, or a piece of somebody elses sound for whatever — any kind of concrète sounds, using these complex “sound objects” [“objets sonores”], like they used to call it musique concrète. I thought that was a really interesting approach to music and I thought it would be interesting to create a synth which could create these complex sound objects, so that it’s not just coming from the real world, from recordings, existing music, or whatever, but it could be coming from something completely synthesized. So that was the idea of the “one finger sequence” (laughs). BS: Does the fact that you live in France affect your musical thinking? BC: One thing in France that turned me on musically a lot was the whole spectral music idea, like you find in Gérard Grisey’s music. In the early seventies, they started writing instrumental music based on acoustic analysis; Tristan Murail had a piece for orchestra, where each note the instruments played was a harmonic of a bell sound. Or there would be a chord based on ring modulation spectra. I was working quite a bit with people with those kinds of ideas, which appealed a lot to me, but I don’t think it directly relates to Absynth. BS: What other musical influences have there been in your life? BC: Brian Eno. You were talking about [the patch] “Cooling the Plasma”… a lot of Brian Eno’s ambient music is based on these really long loops that are just out of sync with eachother. The obvious example would be some of the pieces on “Music for Airports” which is just tape loops having different durations. I think a lot of his ambient music after that, like Ambient 4 ——— which is my favorite Eno album — I think he would actually have a stopwatch, sitting next to him… However he was making sound — you know, banging on something, shaking a box of rocks or doing something inside the piano — he’d decide: “this is going to happen every thirty-three seconds” so that every thirty-three seconds he would play a sound on this thing. After a long time, he’d got enough tracks going so that it became a continuous sound. It’s a way to make something that can last a long time! “Cooling the Plasma” is like that idea, but instead of sounds being looped, it’s individual parameters being looped. So the filters got a loop that’s pretty long, and then there’s a pitch envelope that is pretty long, and then there is an amplitude envelope that is opening and closing, so that there is silence and then the sound comes in… it’s pretty long too. But they are all out of sync with eachother, so the patch will reveal different things as the music plays. So I guess Brian Eno influened me the most in electronic music. That’s the most direct influence in Absynth. Those kind of ideas apply to even something like a pad, too. With “Cooling the Plasma”, you’re talking about a piece — I mean, a sound that plays like a piece — where, if you play those ideas just through just a note, things are going out of sync over a shorter time and it’s maybe not so dramatic, but things going in and out of tune, or the filters are moving around a little bit, or something… that brings a lot of life to the sound. You know, a lot of stuff in electronic music is just cycles; the LFO goes up, then it goes down. So you start your filter going up and down. That makes things sound a little bit more lively, but pretty soon, it gets boring, just the filter going up and down. So if you get something else going up and down, but it’s out of sync, then you’ve got new combinations coming out of it. And if you get more and more cyclic things like that happening that aren’t in sync, then the sound is going to change all the time. That can be as subtle or dramatic as you want. BS: Do you remember when you created that patch? BC: Yes. I’d been working on the first Absynth release for Native Instruments, Absynth 1 point something. So I’d been staying up late for a long time and a bit sleep deprived (laughs) and then I made that sound when I was finished, as a way of celebrating that I was finished! BS: What was it like to switch from being completely on your own to partnering up with Native Instruments? How long was that? BC: About three months. It wasn’t very long. It was funny, because I released a beta — you know, you couldn’t save sounds — and I thought that I’d have to do a lot of promotion somehow, but I just uploaded it to a couple of shareware sites, and it was a bit hit the next day, more or less. I was really surprised by that and a couple of months later I started selling it. At first the sales were pretty good, and then it got cracked and my sales just dried up. That was really depressing. I’d thought, you know, I had something happening and then it was… gone. BC: At about that time Mate contacted me and he and Egbert [both from Native Instruments] contacted me and I really like them. I always had this distrust of big companies and I had this idea that someone would invent something, a company would buy it, and then they kick the originator of the idea out so that they can control things. So I was worried about that, but that didn’t happen. Just meeting those guys — they were so open — you know, we were on the same wavelength, we were thinking the same way about sound and what kind of things we wanted a synthesizer to do, so I felt really comfortable with them. And they’ve always basically let me do what I want. BS: How did that change your way of working? BC: Well, it made me more professional, for one thing. I learned a lot being around “serious” programmers! Eventually, NI started doing the plugin interface stuff and all the hard stuff, so I could just focus on doing sound and the user interface, so it ultimately simplified things. BS: The other day, you mentioned that today, people seem to suffer from a sort of “sound overload”; they have so many sounds, so many presets on their systems now. 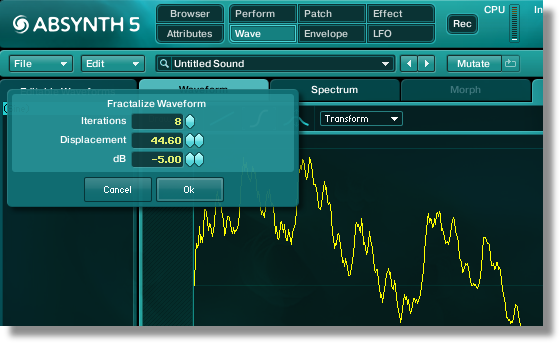 I mean, if someone just wanted to focus on Native Instruments products, they would still be facing over 9000 presets. Have things changed because of this situation? Do you think people overload on this? BC: It certainly influences the way people work and the way they make music. Personally, I don’t like going through presets. I mean, I might scroll through a hundred presets in a bank or something, but after that, I don’t even know what I’m listening to anymore. And musically, I think it’s better to make your own sounds as much as possible; it’s a different way of working, it’s a different way of making music and if you make your own sounds, you’ve got something nobody else has. If you’re using presets, well, everybody’s got those presets. Maybe it’s just right for a song you’re working on… I mean, everybody going to use presets to some extent, but I think it’s important to make your own sounds as much as possible. Obviously, if I want a big, realistic orchestral string sound, I’m not going to do that myself. And there’s a lot of great Absynth presets guys have made. But I think that if I were using anybody’s presets, I’d modify them a lot — that’s a good way to use presets. For example, if it has samples in it, just put your own samples in it and see what it does. 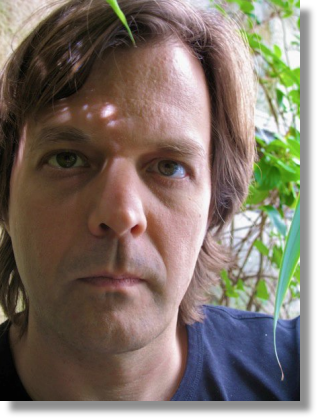 Simon Stockhausen has made some presets that are like little compositions. I think if I put my own samples in a sound, there would be something totally different. BS: Absynth is ten years old this month, right? 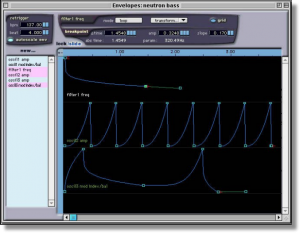 BC: That’s right, the Native Instruments release of Absynth is ten years old. BS: What’s next for you? Do you have any other projects brewing? BC: It’s kind of difficult because a lot of the ideas in Absynth, a lot of the synthesis ideas… if you go back and read computer music journal going back into the seventies, you see decades of research – and once all this could happen in real time and anybody could run it on their computer they have at home. So all of sudden, all of this research got built in to instruments, all of a sudden all of this stuff which had been really obscure and kind of academic — and a result of all this research — became accessible to everybody. That makes it hard to think of something new now. I mean, I keep coming up with ideas and keep expanding things, and Absynth will have new stuff in the future and it will be good; there will be new things, new possibilities. But it’s hard to come up with a new product that really does something different. We had a blank slate and everything everybody did was new and now it’s… well, I guess you could say the same with music. BS: That brings me to the next question: What about you and composition? BC: That’s more of a discipline problem (laughs)… I have the same problem that everybody else has; I come up with a little riff or something, then I have a hard time putting it into a three minute song or whatever. But that’s a discipline problem… I just need to say, “I’m going to spend a half hour a day just working on this” and I’d get something done. I’m just lazy. BS: But you’ve got the discipline to create and continue to develop this fantastic synthesizer! BC: I guess part of the problem is that styles and and experimentation and all… so much has been done. I think ultimately what sets people off today is just their personality. It’s more personal, it’s not so much styles of music or schools of music or inventing something that nobody has every heard before. It’s more that you just have a personal approach to things. BS: What about workshops? Last weekend was the third workshop you had ever done on Absynth, right? No, I’d never done anything like that before. BS: What is that like for you? What about the first workshop? BC: Oh, it was kind of emotional, you know, standing at the back of the room and seeing all these iMacs with Absynth on them, and everyone is working on them, making Absynth sound. It’s great to see people interested enough in it that they invest the time and money in it, to come to Berlin. It was great meeting everybody — lots of cool people. BS: Is there kind of a feedback into your own ideas with that? BC: Oh yes! I wish we had done it before. When I’m presenting stuff, I realize, for example, “This thing is not very clear” or “I need to improve that”… (laughs). You know, something is difficult to explain and I could have done this better. So yes, it has been good in that sense. I’ve realized I like making patches in front of people and showing them things. And the stuff people make really surprises me by the quality. There was a sound that one of the participants made yesterday that was really cool, where you move the mod wheel and the sound would disappear and reappear… I’m surprised how good the sounds are that people make! I always surprised at the quality of sounds, especially on the second day. BS: Thank you very much, Brian!